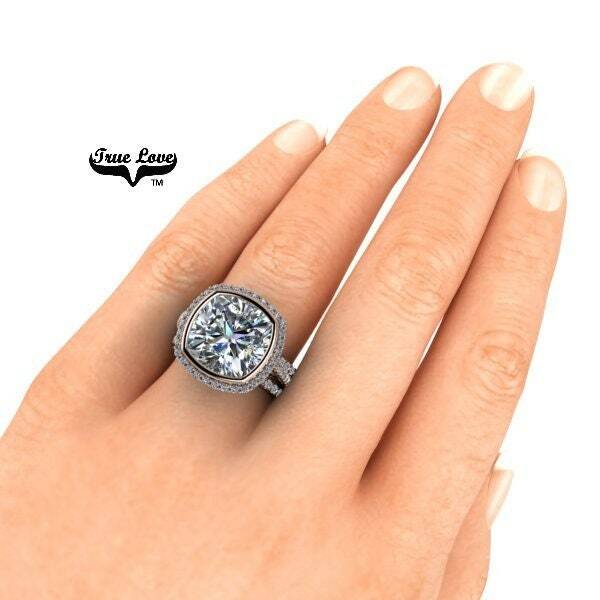 3.8 Carat 9mm Center stone has 42 Side and Halo Moissanites E-F Colorless VVS Clarity .41 Carat Total weight. 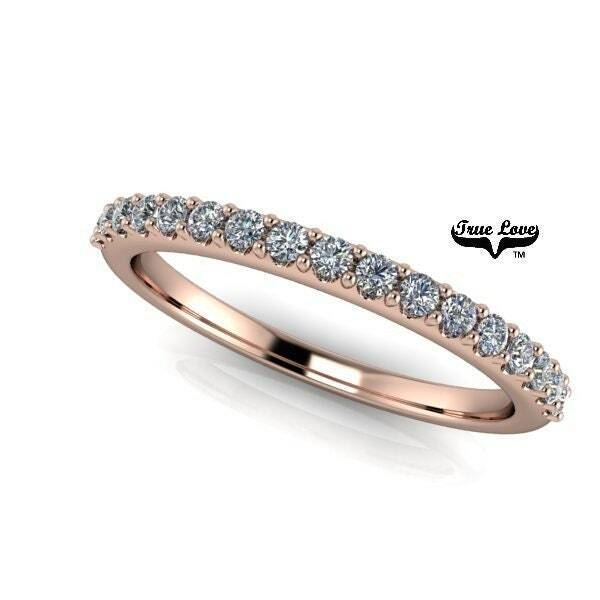 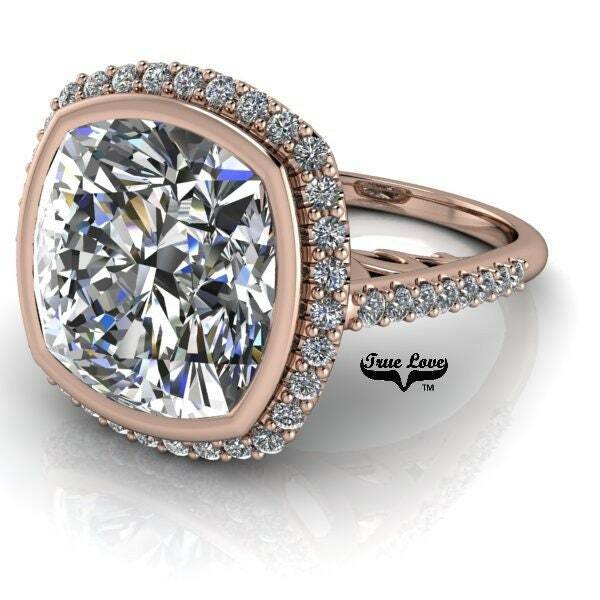 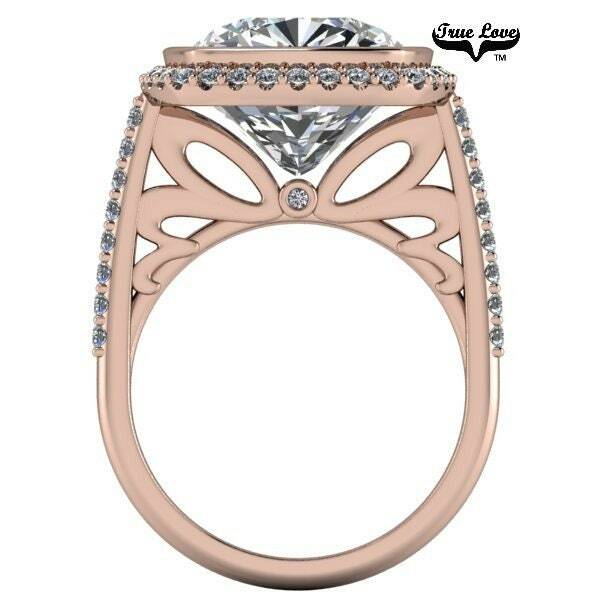 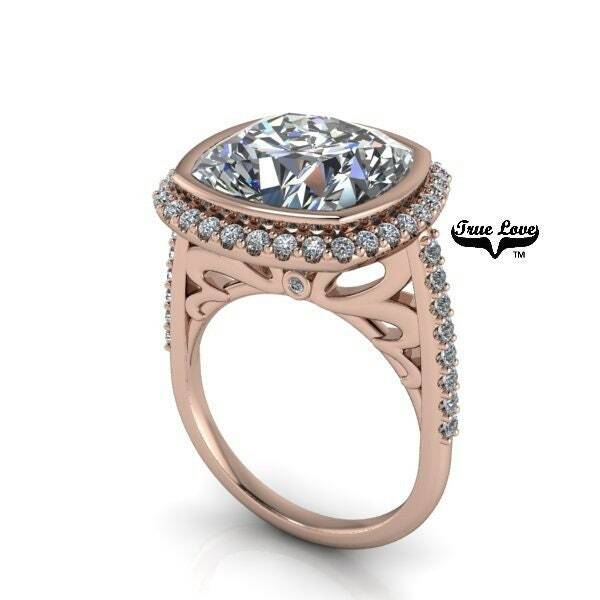 5 Carat 10mm Center stone has 46 Side and Halo Moissanites E-F Colorless VVS Clarity .44 Carat Total weight. 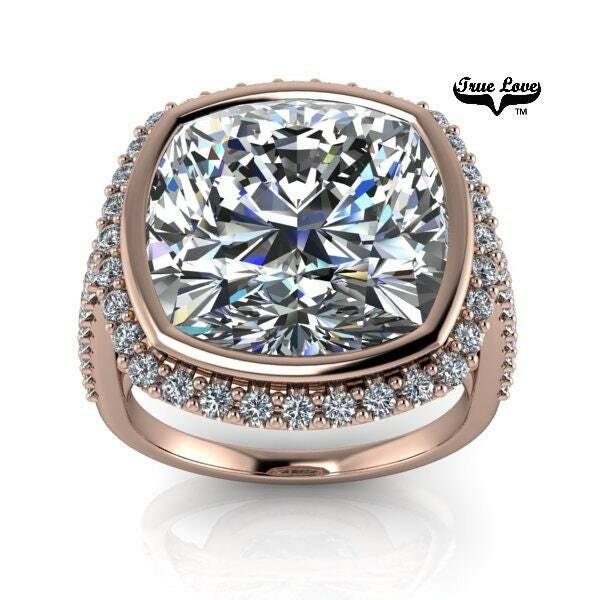 7 Carat 11mm Center stone has 46 Side and Halo Moissanites E-F Colorless VVS Clarity .44 Carat Total weight. 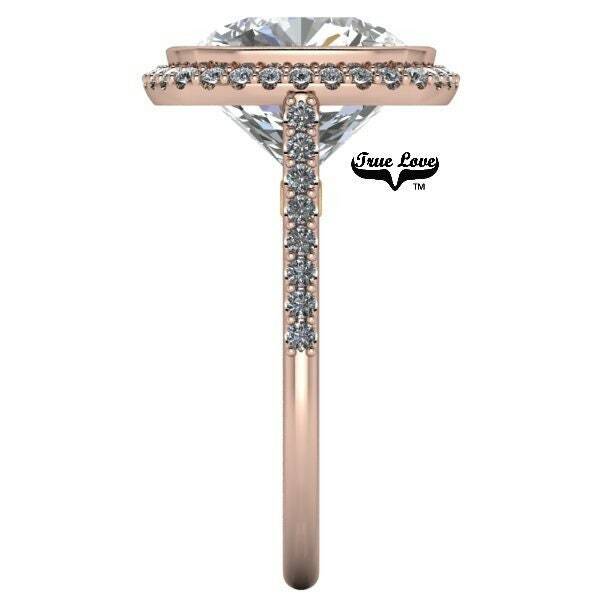 9 Carat 12mm Center stone has 50 Side and Halo Moissanites E-F Colorless VVS Clarity .47 Carat Total weight.